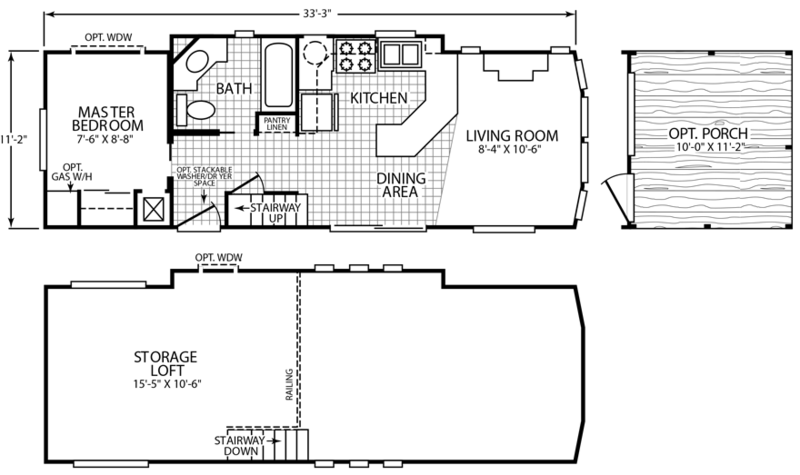 Enjoy exploring our fabulous collection of loft floor plans. 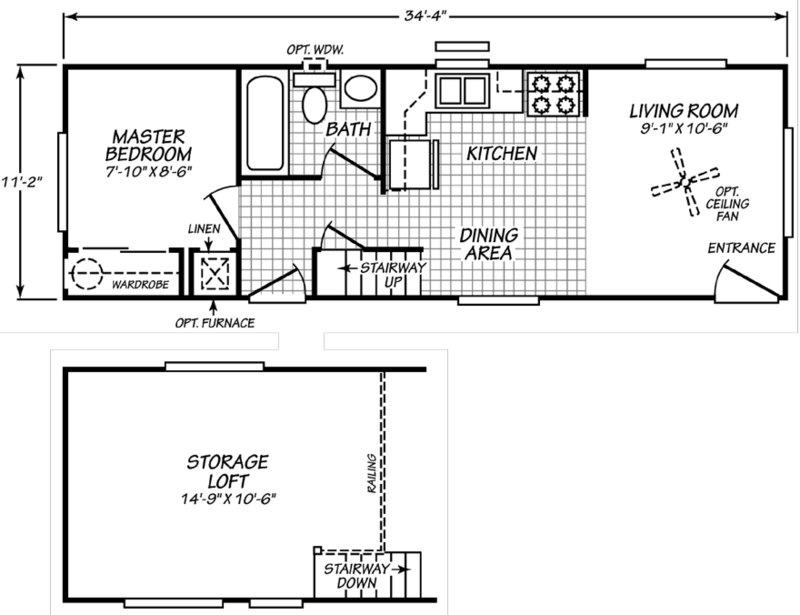 While the addition of a loft does not impact the basic footprint of any given park model, it does add dimension and floor surface area, resulting in more storage and habitable space. 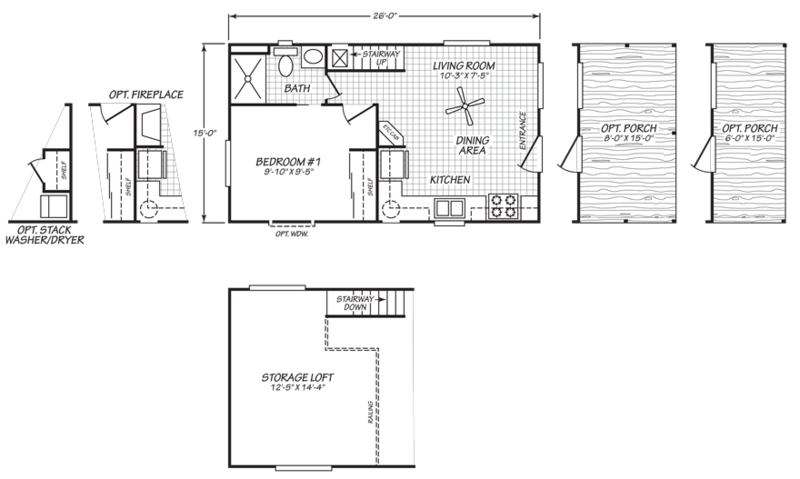 The lofts are standard in all of these plans, some plans have the option of extending the standard loft to a double loft for additional storage. 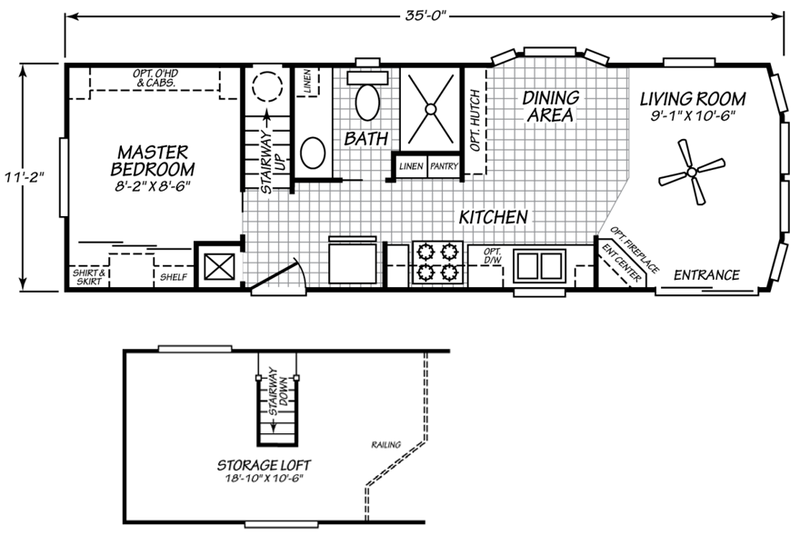 The placement and orientation of the loft and stairwell also varies by floor plan. The collection below represents a full cross section of loft homes in every available series. Click on “Learn More” for model photos, details and standard specifications.